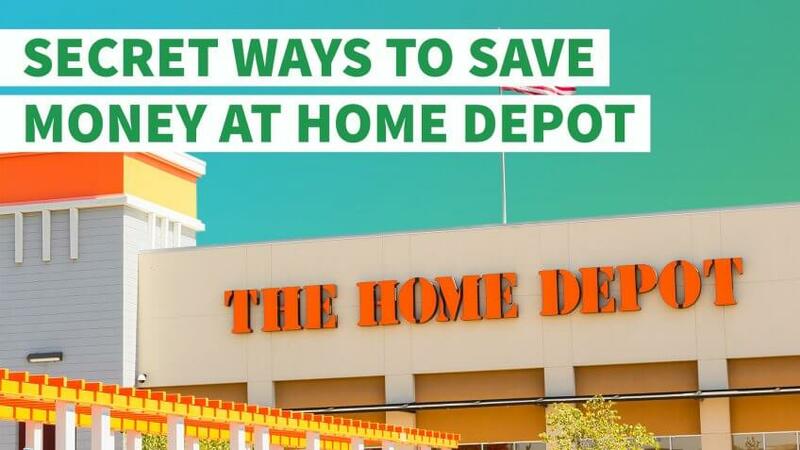 Here's how to save on every Home Depot purchase you make. You don't have to be Chip or Joanna Gaines from the HGTV show "Fixer Upper" to appreciate Home Depot. It's one of the largest home improvement retailers, with more than 2,200 stores in the U.S., Canada and Mexico. 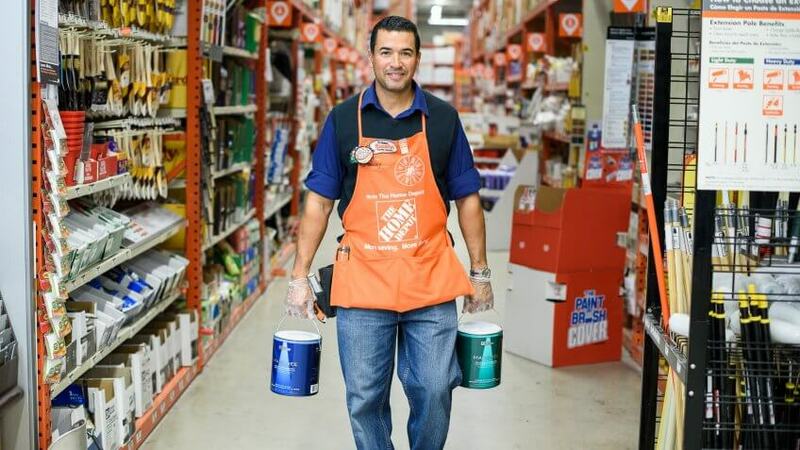 Whether you're buying paint or going for a full bathroom remodel, chances are you can save money at Home Depot. Use these savvy tips to save on your next purchase. If you really want to rack up home improvement savings, make sure you're taking advantage of all available coupons and discounts. Military service members, for example, earn 10 percent off at Home Depot. Just bring a military I.D. when you shop. Veterans also qualified for a 10 percent discount on Memorial Day in 2016. You can also find discounts on sites like CouponSherpa.com and Groupon. In late March, Groupon advertised a promotional code for 20 percent off lighting purchases made online. Meanwhile, CouponSherpa.com found deals for 20 percent off small appliances at Home Depot, plus cash-back deals on LG appliance bundles. On sites like GiftCardGranny.com, you can buy discounted gift cards. People who don't want their gift cards securely sell them on the site. You can currently save 4 percent on Home Depot gift cards of varying values. If you subscribe to text alerts from Home Depot, you will get a coupon sent to you via text message for $5 off your next purchase. You must spend $50 to use the coupon. 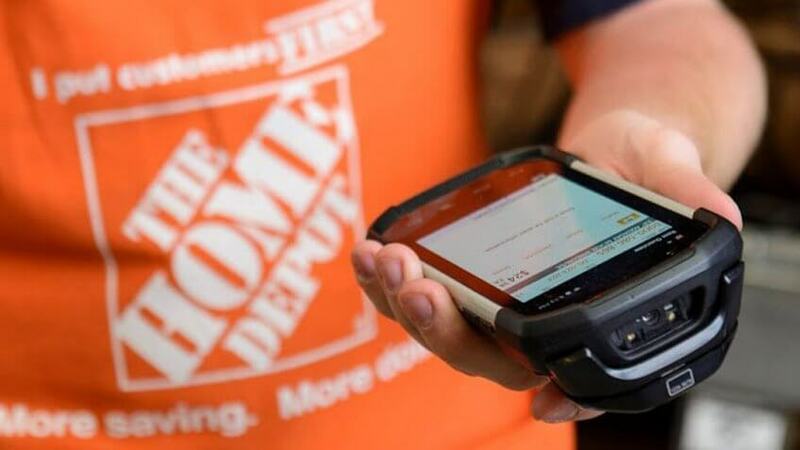 With text alerts, you'll also hear about the latest promotions at Home Depot. 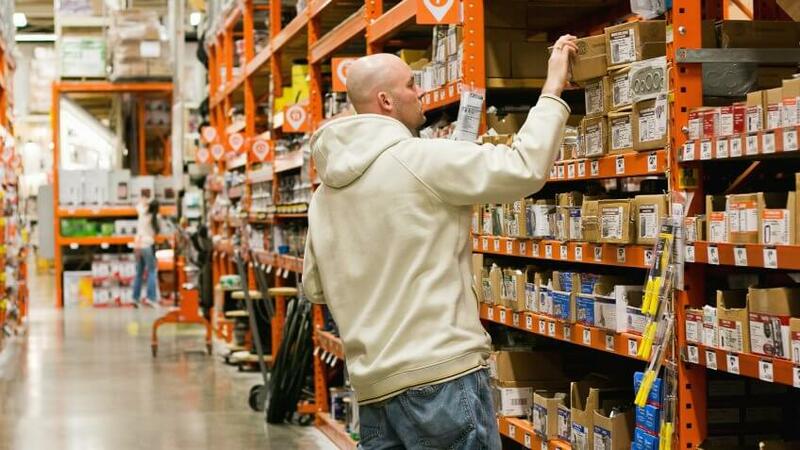 You can find home improvement deals throughout the store — if you know how to spot them. You can often find clearance items and price markdowns on end caps in the store, so it's good to actively look as you walk the aisles, said Lori Felix of money-saving blog MoreWithLessToday.com. "You might get lucky and find just what you are looking for," she said. Prices ending in .06 are a clearance item and has six weeks until the price drops again. Prices ending in .03 have three weeks before being taken off shelves. It's best to get the product then. If you're shopping for paint, you also don't want to miss the aisle with the "oops" paint rack. You can find big discounts on paints that are either the wrong tint or were not the color the customer requested. With hundreds of tools and pieces of equipment available to rent at Home Depot, you don't need to buy tools you'll only ever use once. Whether you're moving, in the midst of a DIY home renovation project, or you're just sprucing up the garden, see if the item you need can be rented. 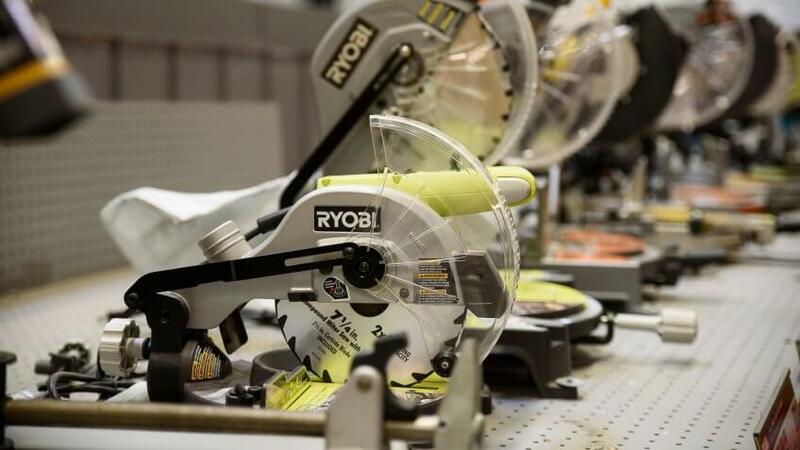 Check Home Depot's site for tools like trimmers and edgers, chainsaws, drain cleaners and moving equipment. You can rent supplies by the hour, day, week or month. For example, say you want a cement mixer to build a fire pit in your yard. You can purchase a Kushlan motor cement mixer for $397 or rent the same one for $46 a day. You'll save more than $300 for equipment you'll probably only use once, which is much easier on your wallet. If you want a discount on a Home Depot product, ask for it. Consumer and money-saving expert Andrea Woroch said it can work. "I recently went undercover with 'Today' show's Jeff Rossen, for 'Rossen Reports,' about haggling and how to save more at big box stores," she said. 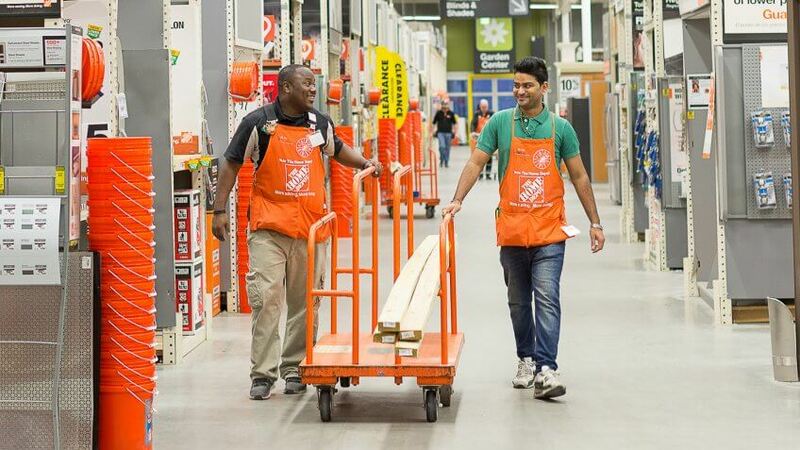 "One of the stores we targeted was Home Depot. I was able to save an additional $50 off of a washing machine and dryer that were on sale by negotiating." Sales associates usually don't have the power to give you a better deal. But if you ask to speak to a manager, he might be more willing to negotiate with you to seal the deal, Woroch said. "Use tactics like reviewing recent sales that you missed or upcoming ones that you may qualify for now," she added. Home Depot's Special Buy of the Day offers online exclusive deals to save on home improvement projects. They are one-day, online-only deals while supplies last. One recent daily deal was for a 52-inch Hampton Bay ceiling fan for $109.99, down from $149. A 68-inch Altura ceiling fan that normally retails for $269.99 was also on sale for $199.99, a savings of $70. If you never want to miss a deal, you can sign up to be on the Special Buy of the Day email list. So, if you're waiting for a hot deal on a new refrigerator or another item, the newsletter is a good place to start. Best Buy, Target and Walmart are known to have the best price-match guarantees. But don't overlook Home Depot. 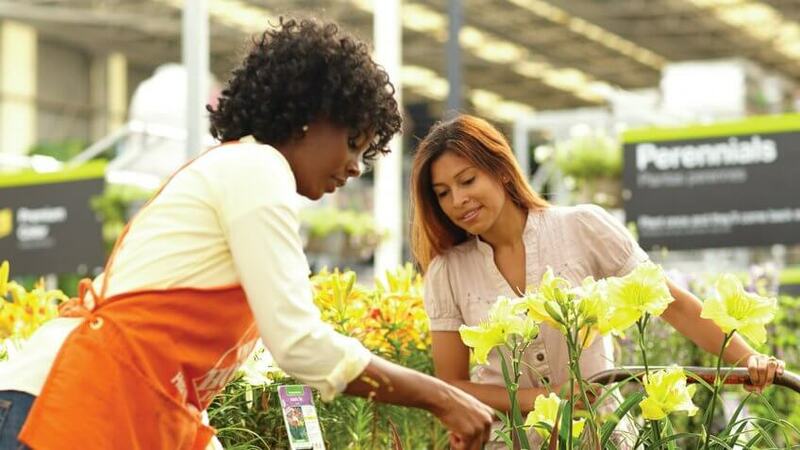 If you find a lower price on an identical in-stock item at a local competitor's store, Home Depot will match the price, plus take 10 percent off. You'll need to take a competitor's ad or a photo of the item and price to Home Depot to get the price match. Online purchases also qualify for an price match. However, these purchases are not eligible for the additional 10 percent discount. The retailer won't give you a price match on special orders, volume discounts, labor and installation, sales tax, rebates or free offers. Also, the price match doesn't apply to third-party, auction or discount sites. Before you make a big purchase, such as a major appliance, visit Home Depot's online rebate center to see what saving opportunities are available. Some products might even offer an additional item rather than money back. 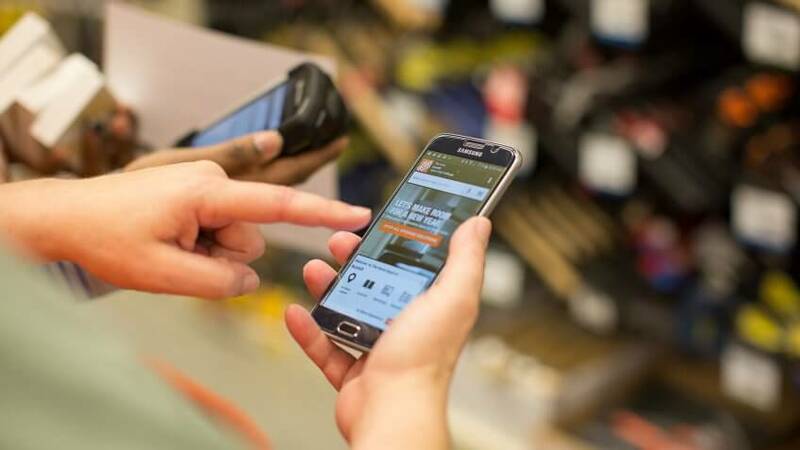 "The majority of Home Depot rebates are tied to federal tax credits (materials) or prepaid [debit] cards from a few specific brands," said Brent Shelton, shopping expert with FatWallet.com. Find out what retailers like Walmart and Target are doing to keep consumers coming back for more. You, too, can save money with deals on just about anything.